Another good one from the Stephanie Plum saga. Love the humor and her characters. I love all the Stephanie Plum books. The chemistry between Stephanie and Morelli is great. This book is very entertaining. Lots of quirky people, loads of fun! Again, Evonovich seems to outdo herself in terms of characters and adventures. can"t get enough of Janet, just love the Stephanie Plum books. Wish there were more. I recently read this book and enjoyed it. It is very light reading and I like the Plum books. 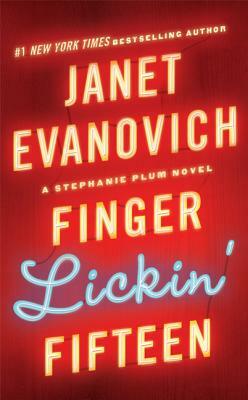 However, I have read 15 of these now, and I need something new from Evanovich. Maybe more Stephanie Plum with some sort of "twist" would help. The author needs to get more imaginative. After 15 books, they are basically the same stuff - which is starting to get a little boring.